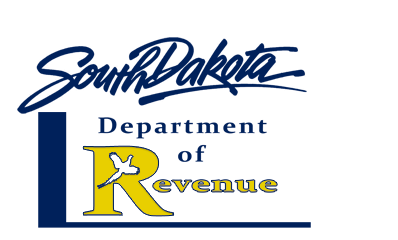 If you are filing and paying your taxes timely through EPath you should notice a new line for the Allowance on your sales tax form. 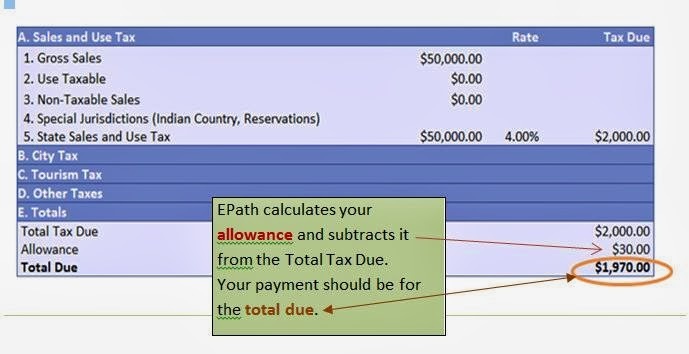 EPath calculates the allowance based on the tax you report and subtracts the allowance from the Total Tax Due. The amount you owe for this return is displayed as the TOTAL DUE. You are responsible for paying the TOTAL DUE. If you paid the Total Tax Due instead of the TOTAL DUE on your December return you may receive a notice showing a credit on your account. To use a credit: Enter your return amounts. The payment page should show the TOTAL DUE for that return. Subtract the credit and change the payment amount. You will get a message stating that payment does not match the return amount, hit OK. Remember returns filed electronically are due the 23rd of the month, payments are due the 2nd to late day of that month.